Red – evocative of desire, lust, energy and war, this impassioned hue is a scene-stealer, and an undeniable symbol of emotional intensity. Recognised as a stimulant, red is exciting and known to create a dramatic mood and ambience. So what does this mean for your home décor? When used correctly, red interiors can feel welcoming and loving. They are filled with a sense of action, promoting strength and vigour, often exuding determination and a stoic impressiveness. 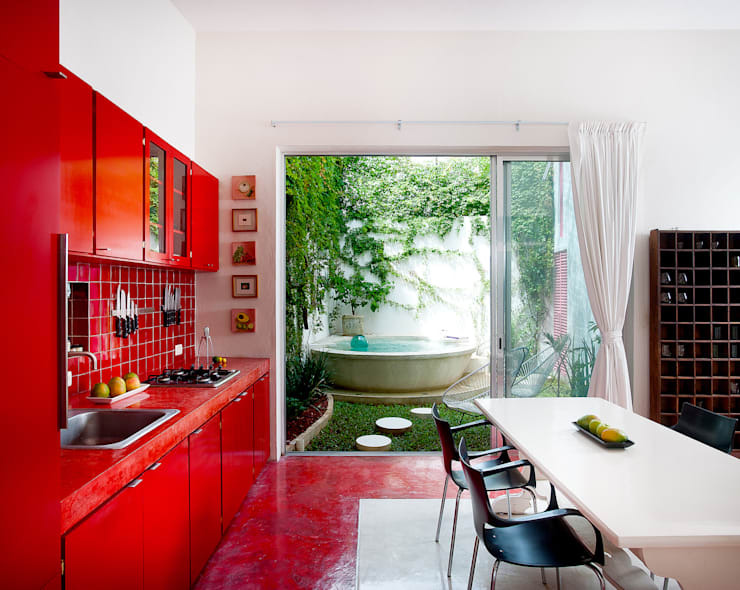 Today on homify we are featuring the colour red. 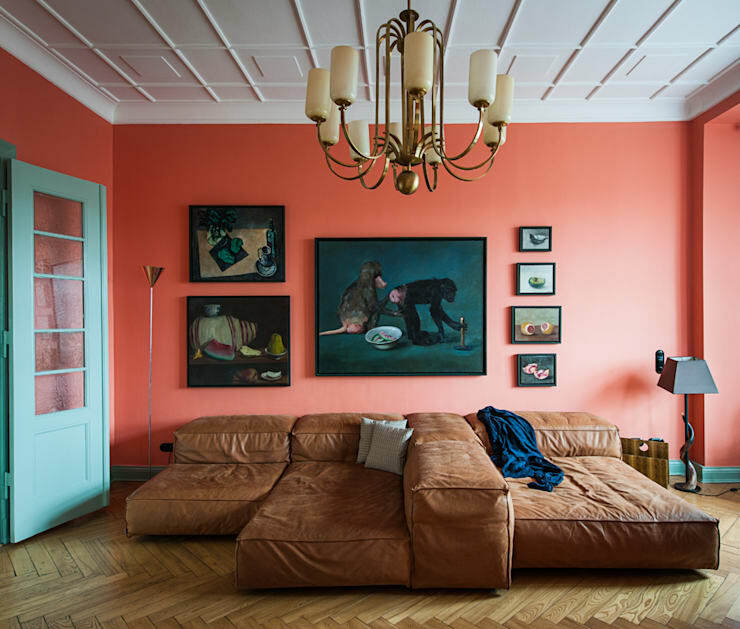 We’ll be looking at 9 ways you can implement and employ this hue into your home, and utilise its most potent attributes to evoke a powerful aura. From crimson to wine, maroon to cerise, there is a shade to suit everyone. Read on below to learn more, and start decorating with a dash of radical red today! When employing such a bright and vivid hue, it is important to maintain cohesion to your original theme. 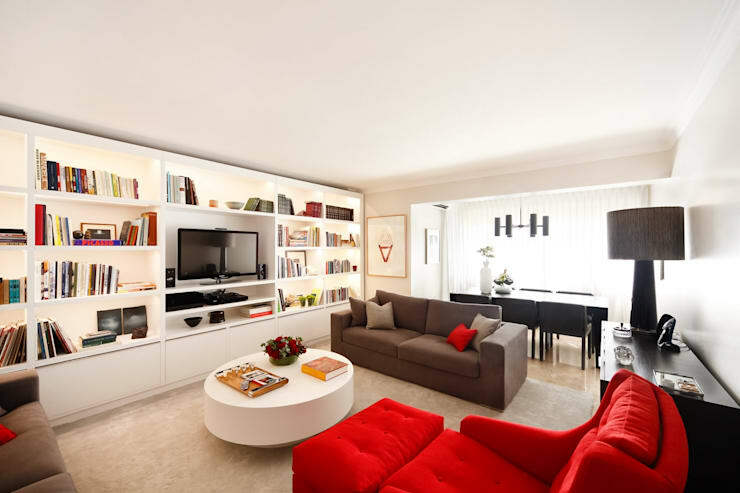 In this example the designers have incorporated a bright red armchair, while a red throw cushion ties the scheme together. Get creative with your kitchen design and opt for some bright red joinery that is sure to create an eye-catching domestic feature. In this example we also see how the designers have chosen a matching red floor, which really tops off the passionate scheme and evokes a rich, sumptuous glow. 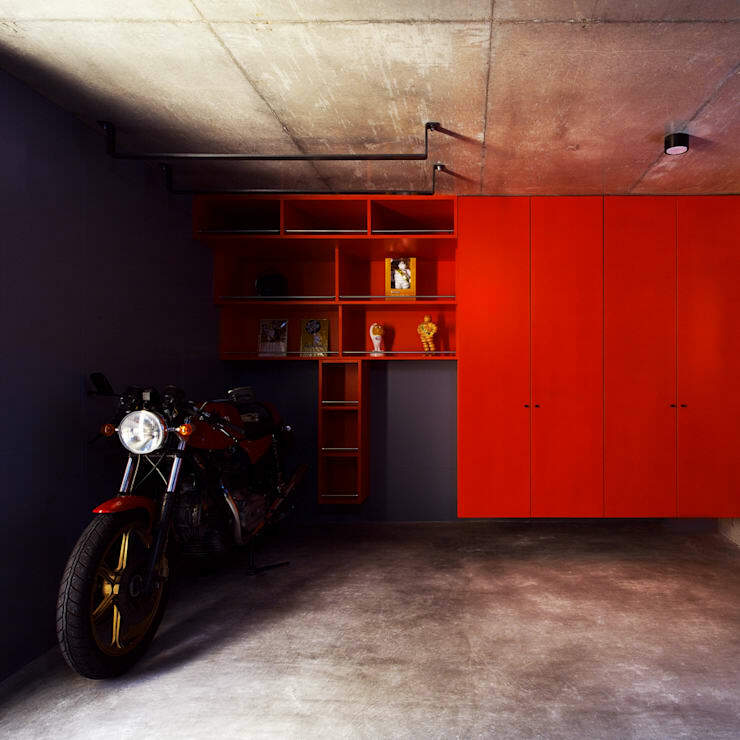 Possibly one of the coolest garage spaces we have seen here at homify, this area embraces the essence of the colour red to create an engaging and enjoyable parking space. Generally garages are lacking in the style department, but not this one. Boasting plenty of storage, and an alluring ambience, this is definitely a cut above the rest. This tiled textured feature wall in this image helps frame the freestanding bathtub, evoking a sense of comfort and class. 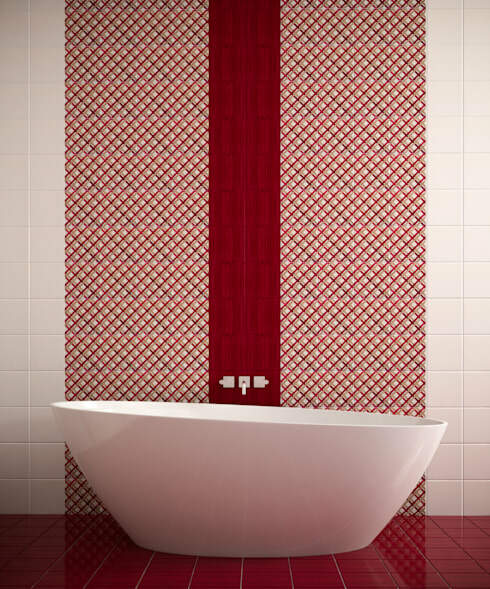 Generally red is not a colour that is employed in bathrooms, but when utilised correctly, and with a considered approach, the results are stunning. Spice up your bedroom's ambience with passionate red bed sheets. The key to employing red bed linen correctly is to choose whether you are going with undersheets or duvet cover and pillowcases. If you are going to pick a bright and lively quilt cover, then it is usually best to pick more muted undersheets, and vice versa. Take some cues from this example and choose a subtly patterned collection that work extremely in keeping the bed feeling fresh and inviting. Light fittings are another neat and nifty solution to incorporating or decorating with the colour red. 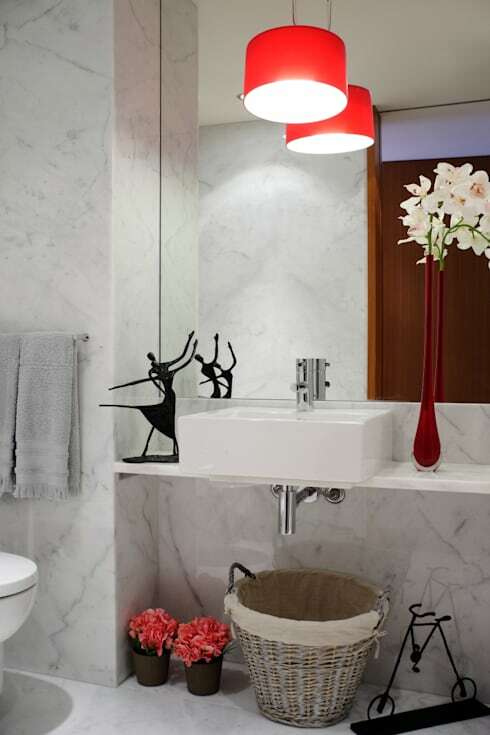 This example shows us a marble bathroom that works brilliantly with the strong and vivid red of the lamp shade. Paired with a long red vase, the result is a highly luxurious, yet playful space. When we think of the colour red, we often picture a bright, eye-catching hue that is both vibrant and passionate, but there are plenty of different tones and shades to suit every taste or preference. There are over 285 commonly used shades of red, with many arguing that there may be many more. This leaves an abundance of design options and solutions to suit even the most discerning of decorator. Next up, we check out this characterful entertainment table, which could double as a coffee table if needed. It is retro in its design, and works beautifully bringing energy and charm to the contemporary interior space. 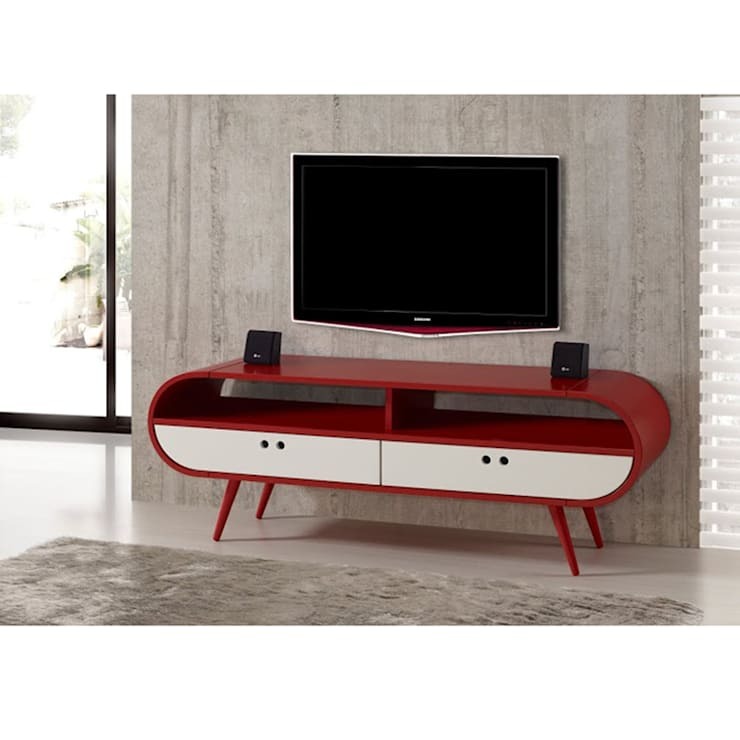 Choose a retro or vintage piece to impart charisma into a sleek or minimal space, while the addition of the colour red ensures it cannot be missed! 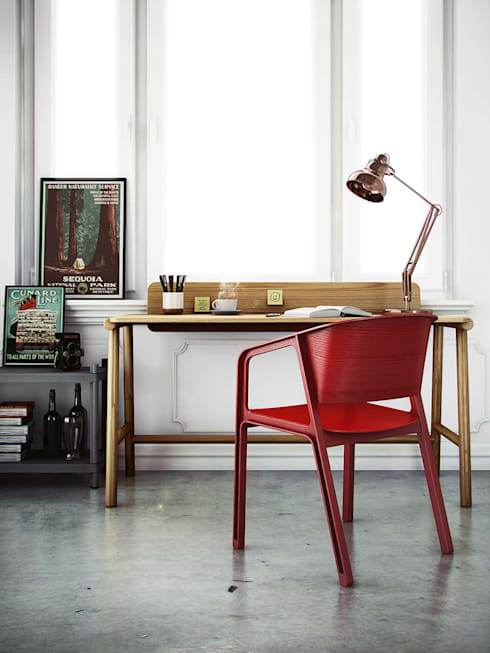 For our last example we head into a home office to check out a statement seat in a daring and lovely red hue. The use of a coloured standout seat is a brilliant way to jazz up an interior space, while ensuring it can easily be relocated if need be. 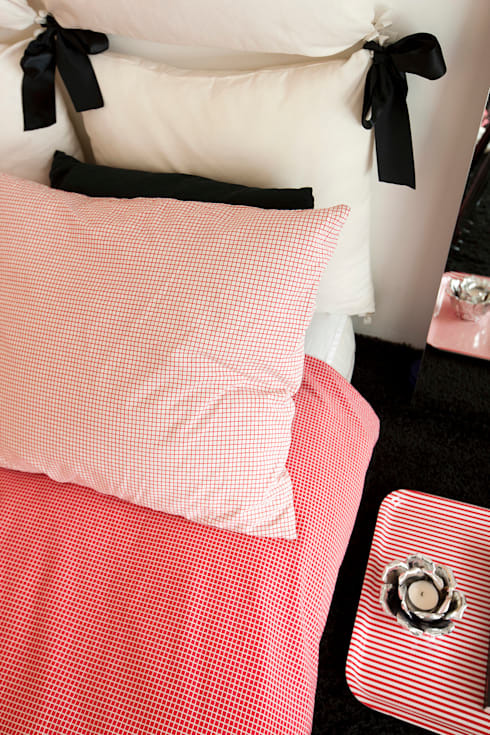 What is your favourite colour to decorate with? Let us know below!